Today is Memorial Day in which our nation set aside to honor the memory of the men and women who died fighting in the United States armed forces. Memorial Day is typically observed by placing flags and flowers on graves and tossing flowers in the water to honor those who died at sea. Here in Hawaii, the general public donate leis for Memorial Day. 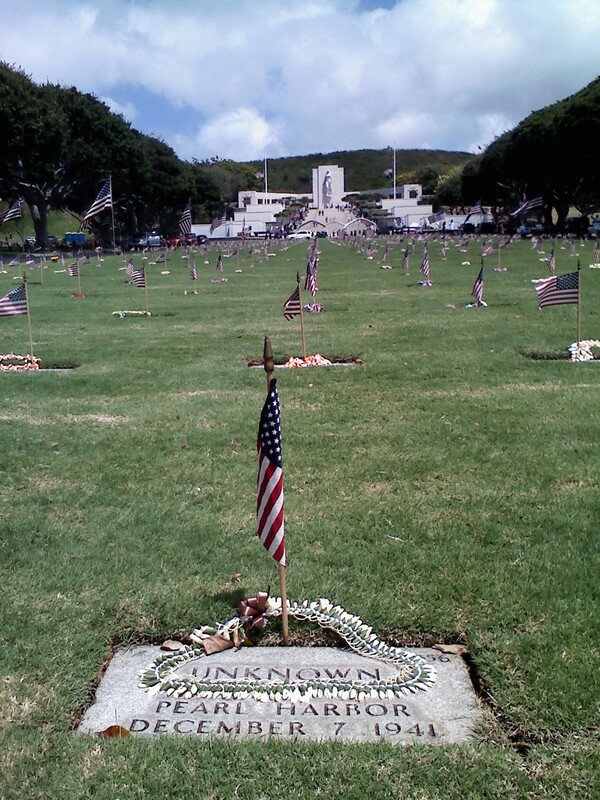 Every year on Memorial Day fifty thousand fresh flower leis are placed on the graves of veterans at the National Cemetery of the Pacific in Honolulu and at other veterans' cemeteries on Oahu and the outer islands. The donated leis are made of ti leaves or fresh flowers that measure 20 to 24 inches. 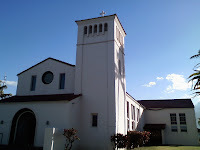 Sr. Margaret Timothy and Sr Madonna Janet dads are buried here at Punchbowl. "The solemn pride that must be yours...to have laid..so cost by a sacrifice upon the altar of freedom." Eternal rest grant unto them O Lord and let perpetual light shine upon them. May they rest in peace. Amen. 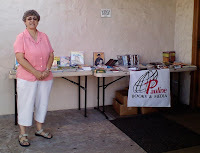 On May 22 and 23, Sr An Mei had a Pauline Bookfair at St Therese in Kihei (Maui). 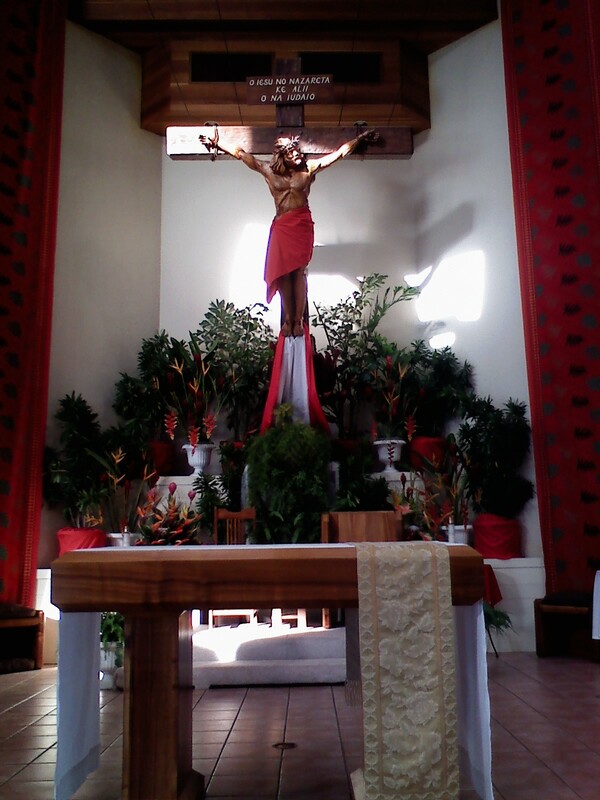 Inside the Church, there is a beautiful crucifix with Jesus in local Hawaiian clothe with the description "O Iesu No Nazareta Ke Alii O Na Iudaio" The music for the Sunday evening was pretty lively. It draws so many young people to worship. It's wonderful to be able to travel and to share the Word of God to our brothers and sisters on the island of Maui! Mahalo Sr An Mei! 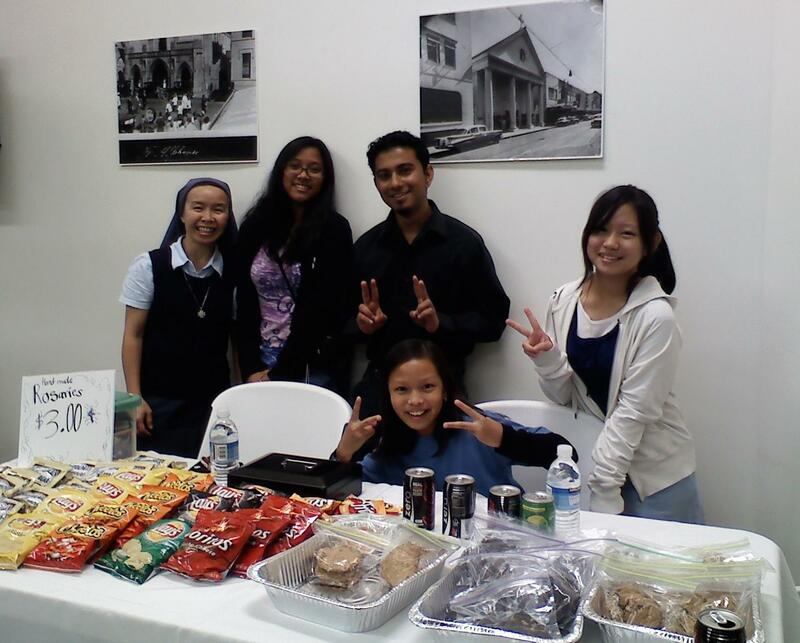 Father Nakagawa, our chaplain, shares with us of his trip to Japan. 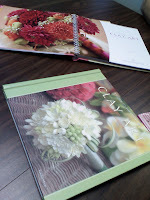 "I was in Japan for two weeks, April 6-17. The cherry blossoms were in full bloom everywhere. 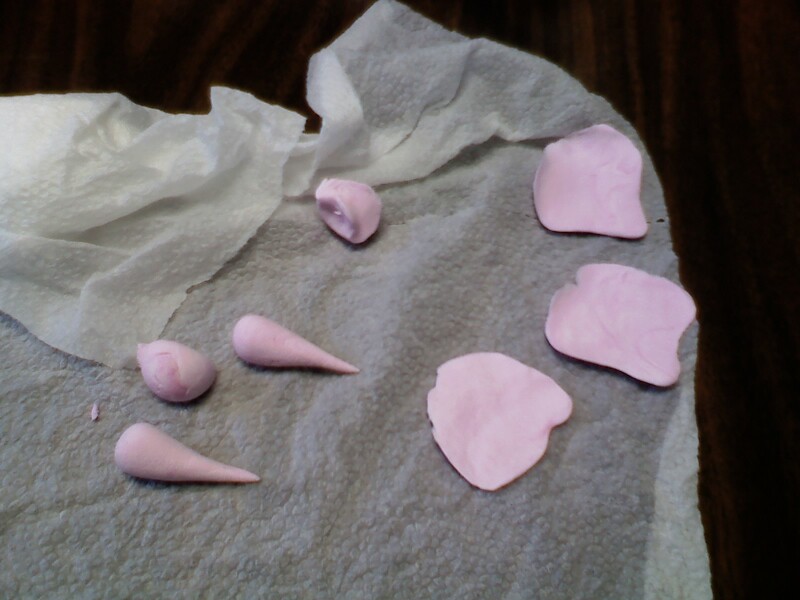 They usually last only a week, but fortunately the cold weather kept them blooming. People turn out in droves to enjoy them. It's a wonderful spring time in Japan. These photos are from Tokyo and Kyoto. It's a sight you must experience." Bonita, a parishioner at the Cathedral of Our Lady of Peace, was so gracious to come for a couple of hours to share her gift and expertise with in the Art of Japanese clay flower making. We gathered in our dining room with the fan humming over our heads and the tropical breeze blowing through the open window (our A/C died last night). 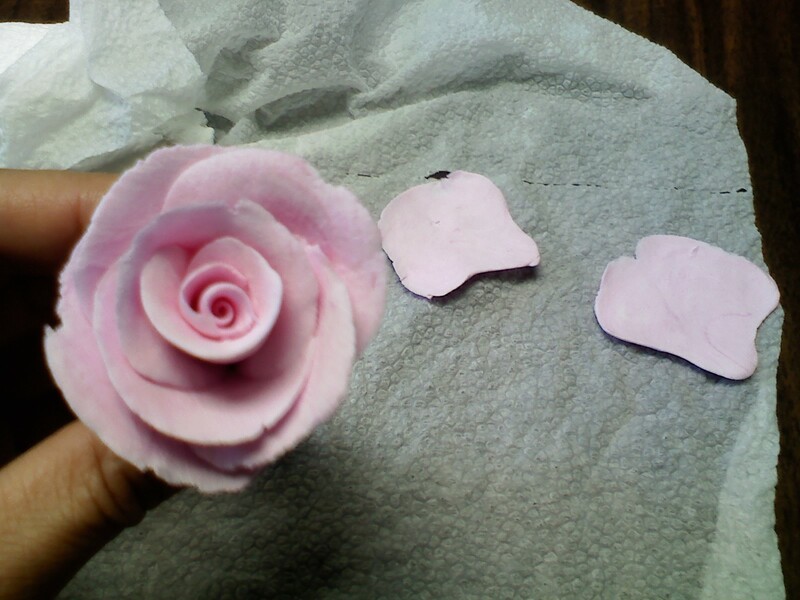 Observe as the sisters make their first attempt to create roses, plumerias, leaves, etc..and a few bloopers! Mahalo to Bonita! 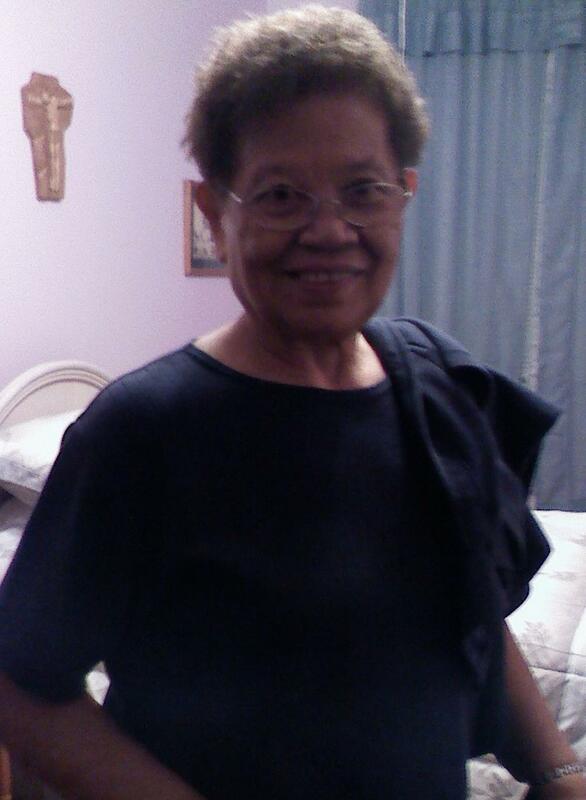 On Saturday, May 22, 2010, Sr. An Mei and I left Oahu for Maui. The cheapest flight was at 5:22am. 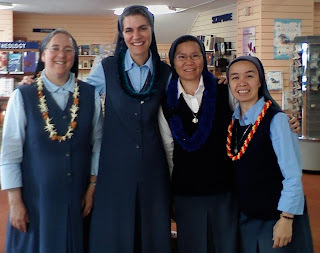 When we got to Kahului Airport, we were picked up by Sr. Candelaria. Between the two of us, we each take care of a parish. 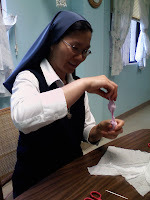 Sr Candie helps Sr An Mei at St Therese in Kihei and Sr Angie, helps me at Christ the King. The people of Maui are very hospitable. 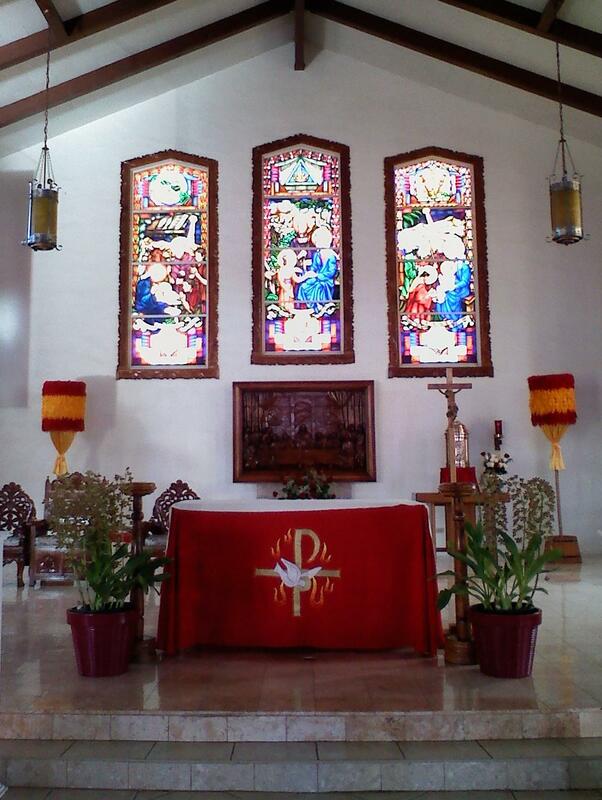 On this Pentecost Sunday, the Church was decorated beautifully with red banners and flowers. Before each Mass, the various choirs process up with white roses and presented to Mary. 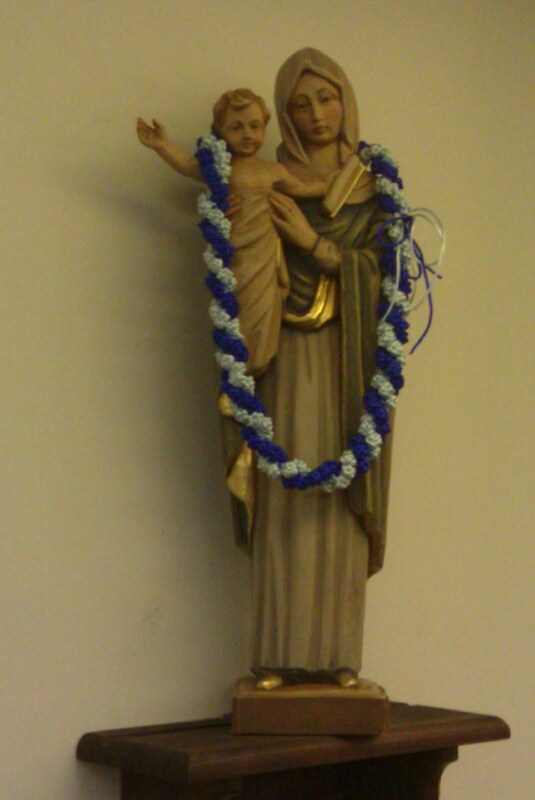 Feast of Mary, Queen of Apostles! 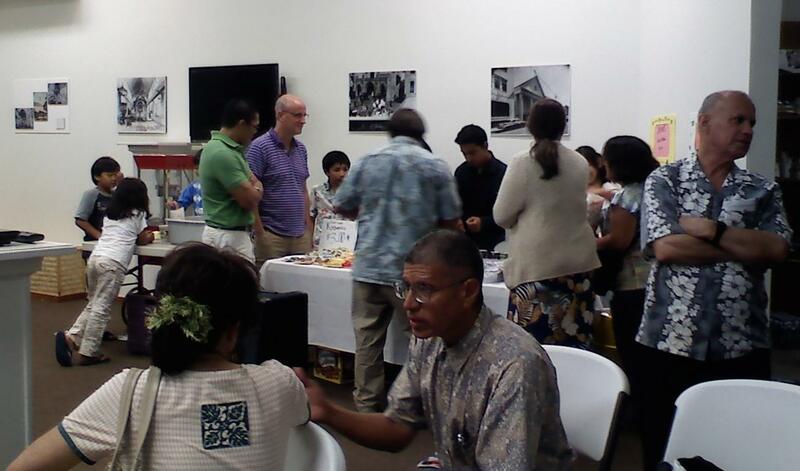 The small Daughters of St Paul community of Hawaii celebrated the Feast of Mary Queen of Apostles with friends and cooperators. Fr. Jim, in residence at the Cathedral of Our Lady of Peace, came over to celebrate the Mass in honor of our Queen. In his homily, Father mentioned the important role Mary has in each of our lives-that giving Jesus to us and to the world. 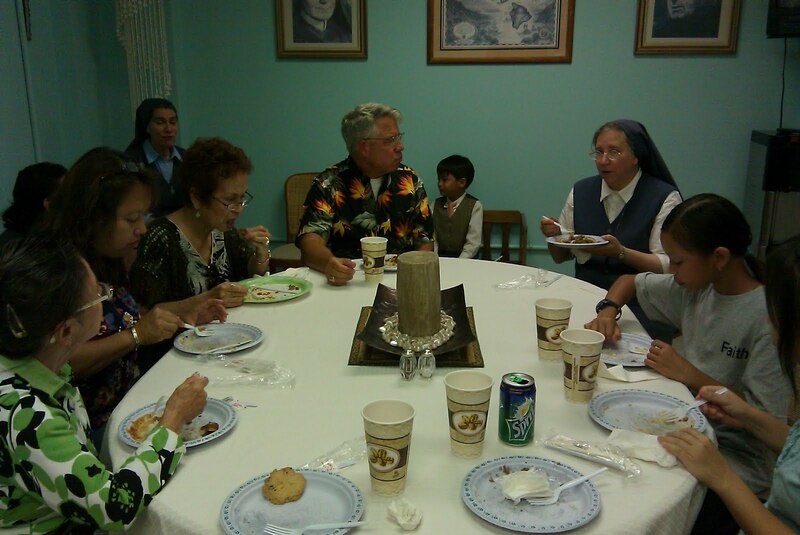 After Mass, we all gathered in the community dining room for a potluck meal, hawaiian style, topped off with home made cookies. We all enjoyed sharing stories and feeling that we are united in vorious way to the Pauline "Ohana." 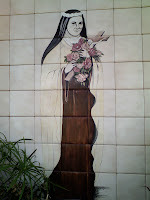 May Mary Queen of Apostles fill each of us with a greater love for her beloved Son, Jesus! Aloha, Srs An Mei and Susan John! 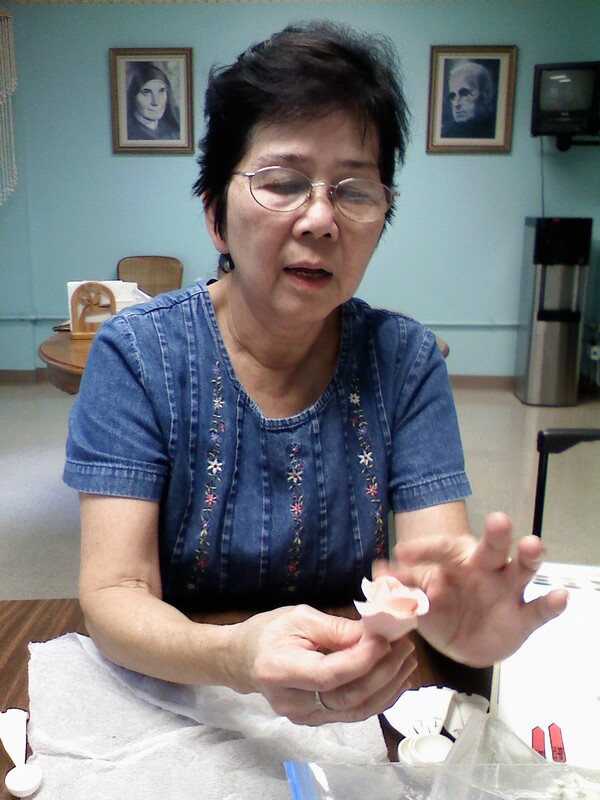 A big ALOHA to Sr. An Mei who is visiting her family and spending some days to help Sr. Laura and I. We welcome back to Hawaii, Sr Susan John! She will be with us until the middle of July. Last night at 10:30pm the phone rang. "Hello, Daughters of St Paul." "Oh I missed the flight and got stuck at the airport. Can I stay at your place?" Half asleep I was trying to listen carefully to the person on the other line. The voice sounds familiar. Oh it's Sr Lydia, a Notre Dame sister from Guam who is on her way to the mainland. I rushed to the airport and found out that I could not stay at the curve for long. 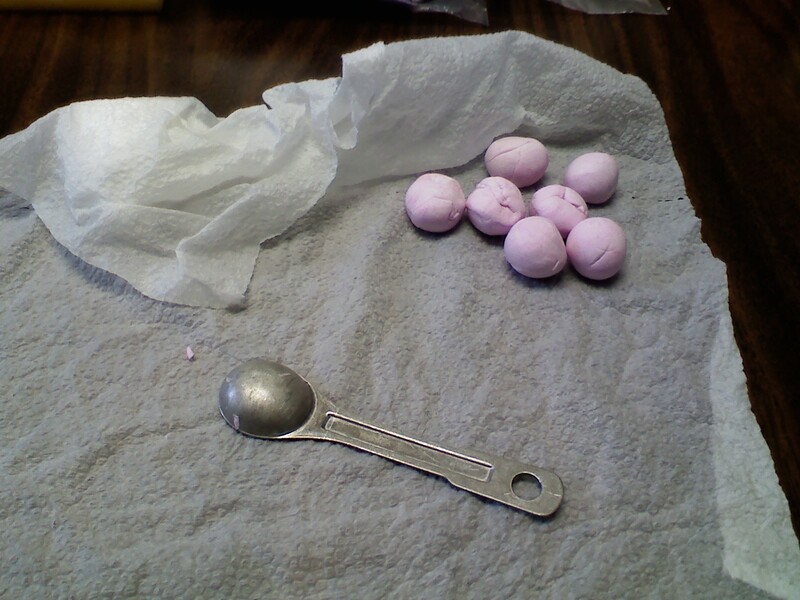 I made three rounds. There's no sight of Sr Lydia. Then I asked myself "was that phone call for real...or was I dreaming?" 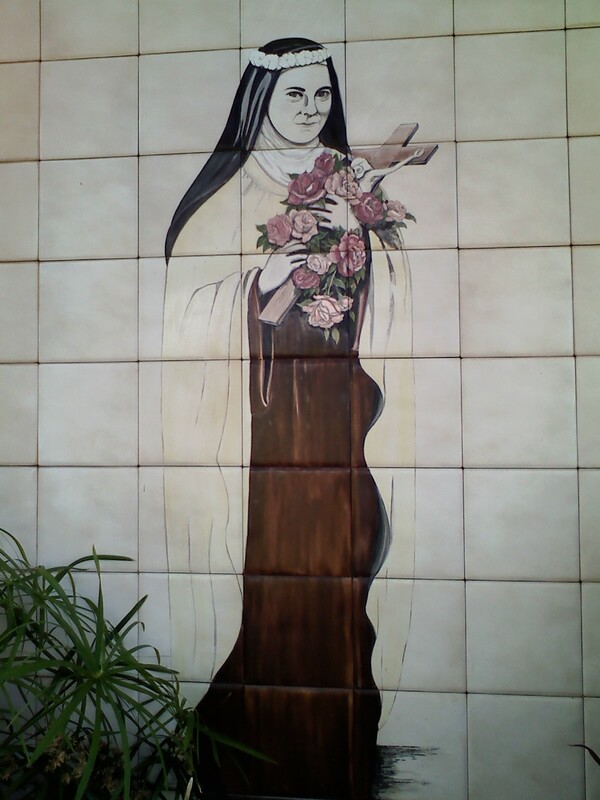 Thank goodness, I decided to go to the Departure section to see if I can get a glimpse of Sr Lydia. Sure enough, she was there. At last...I was not dreaming. It's for REAL! Then wouldn't you know..4:30am came so sudden. That's when we drop Sr Lydia off to the airport. 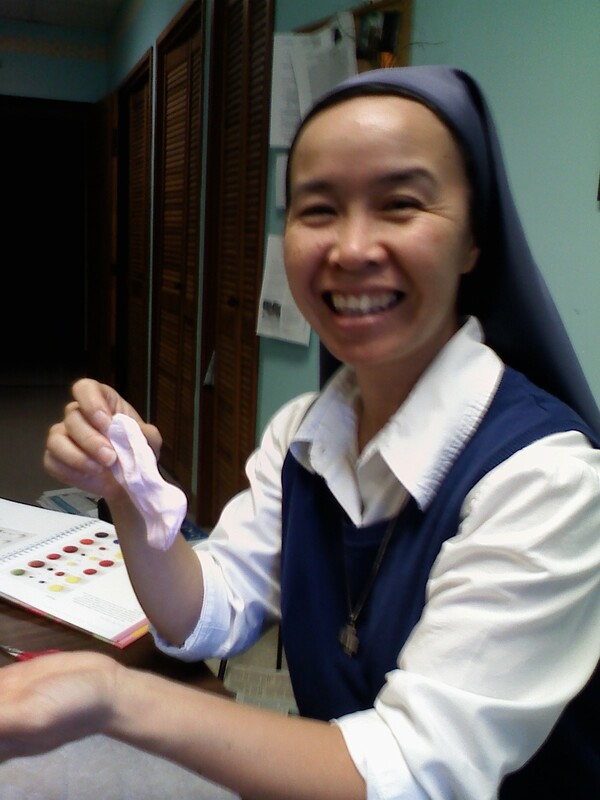 Even though it was a brief encounter with Sr Lydia, it's always a joy to be able to share the Aloha spirit! And our God is a God of surprises! 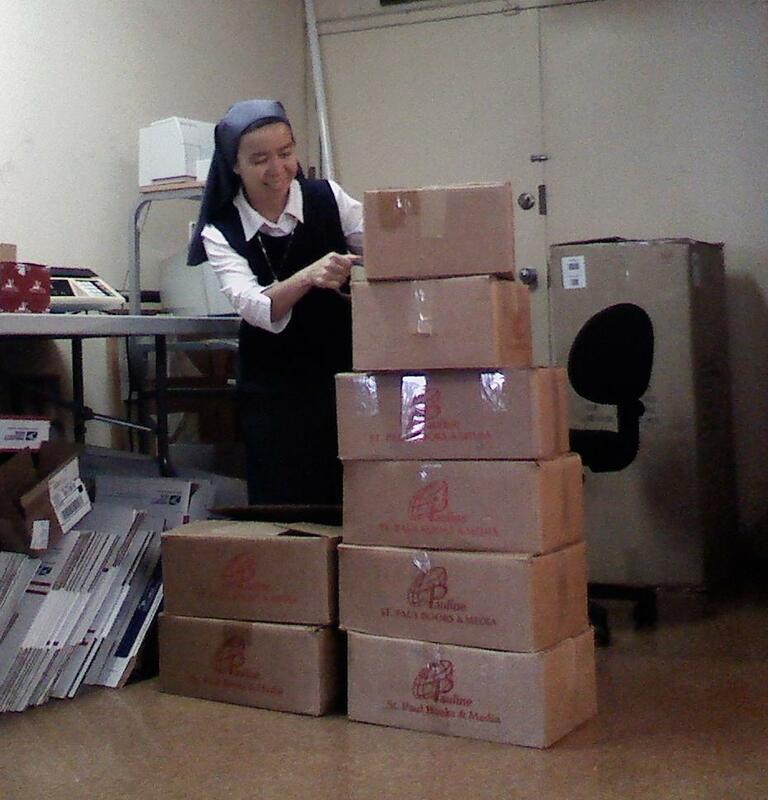 Sr Gioan Linh packed some boxes for this coming weekends to Maui. 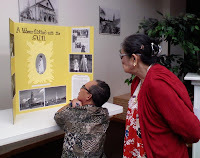 She and Sr. An mei will be at St Theresa in Kihei and Christ the King in Kahului for parish exhibits. 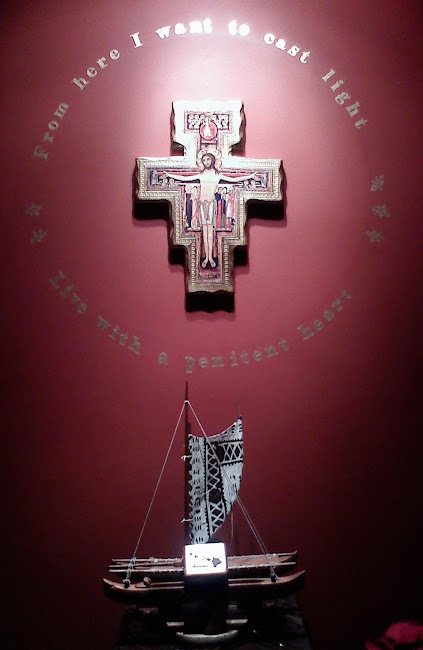 The words of St Paul come to mind in preparation for this trip to the neighboring island of Maui. 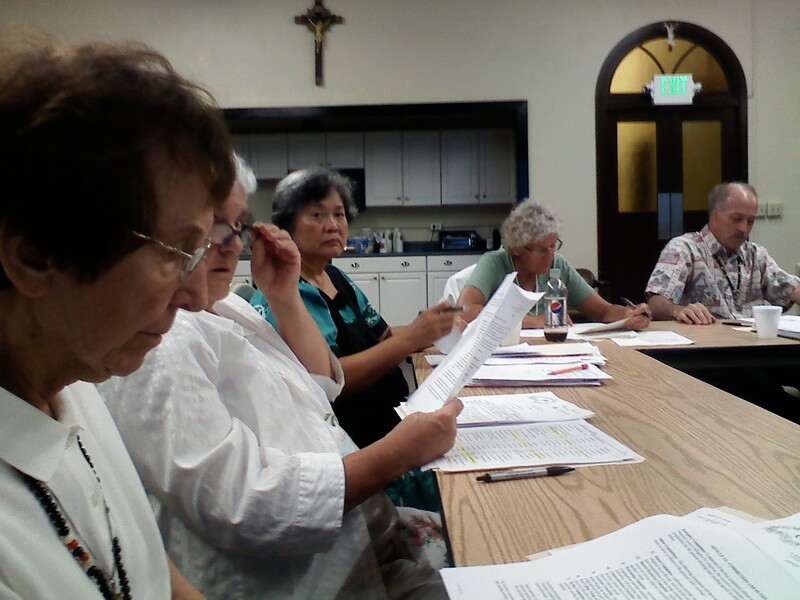 The local superiors and representatives of the various religious congregations in the Diocese of Honolulu gather at St Stephen Diocesan Center for our quarterly meeting. With the help of Deacon John Coughlin who sets up the conference call via internet, the sisters, fathers and brothers from Hilo, Big Island were able to participate in the meeting. Fr. 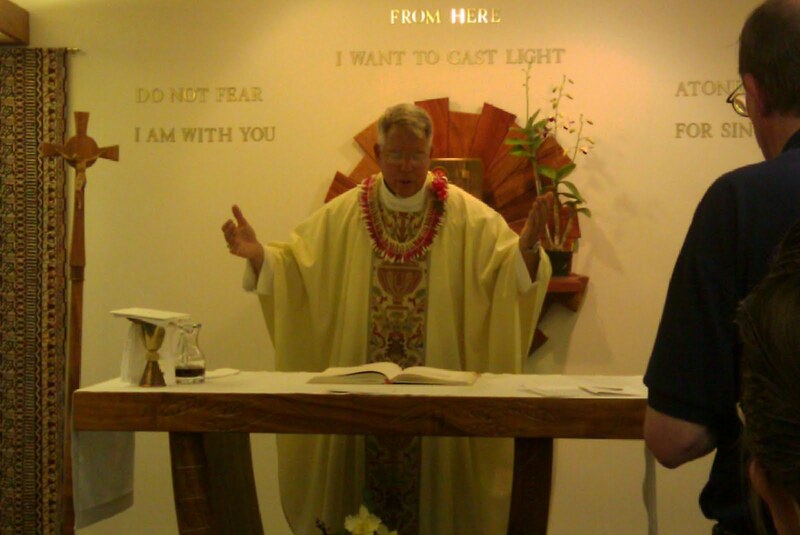 David,OSB welcome everyone and Sr. Patty,CSJ led the opening prayer. Br. 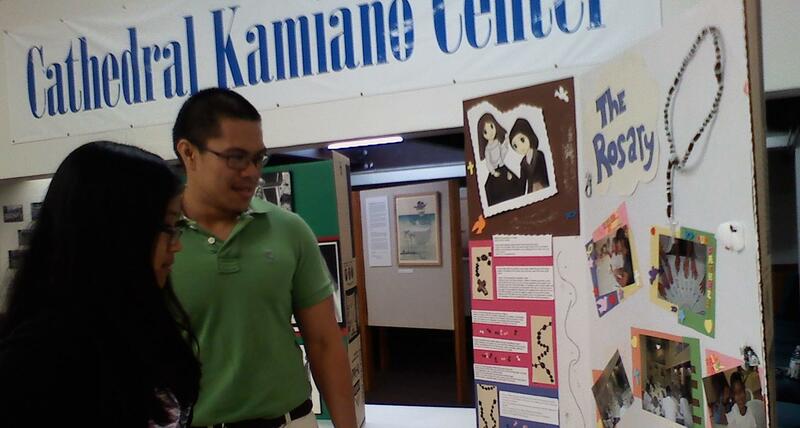 Dennis, SM updates us on the Vocation Forum. Sr. Patty continues with the evaluation of the Diocesan Jubilee Celebration. 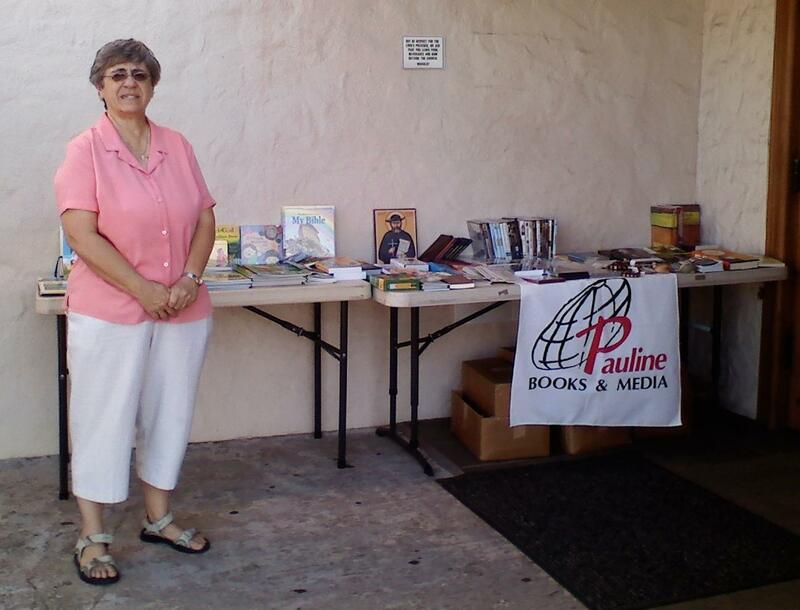 Part of the agenda is for me to show our Pauline Books & Media Blog (http://pbmhonolulu.blogspot.com). I share with the members a little bit how the blog works. Some already ask, "When will you give the class on how to create a blog?" There are a lot of interests in this area. 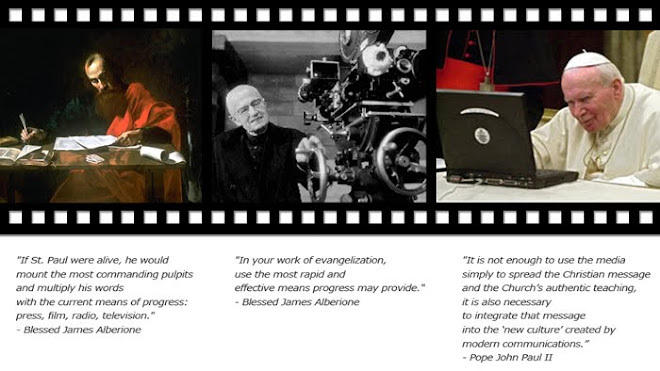 So we are hoping to give a workshop to parishes, religious communities in the fall. This is a great way to build unity, community and communion. We also review the draft of LARC Bylaws. Our next meeting will be August 24, 2010. 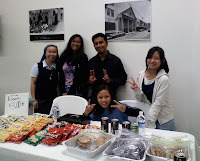 Close to 70 eager people packed into the Kamiano Center this past Sat.night to watch the latest film on Fatima: “The 13th Day.” The film was being shown by the youth of the Cathedral as a fundraising event, hopefully the first of many, to raise money for their many activities. 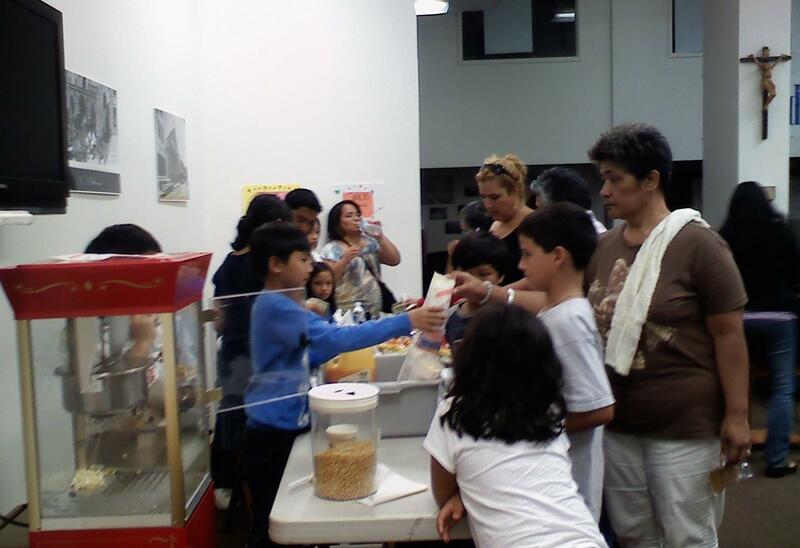 Young and old alike purchased their popcorn and soda from the youth, and then quickly seated themselves to watch this latest film on the Miracle of Fatima. The film is based on the memoirs of the oldest seer, Lucia Santos, as well many thousands of independent eyewitness accounts. “The 13th Day” by Ian and Dominic Higgins, dramatizes the true story of the three young shepherds who experienced six apparitions with a “Lady from heaven” between May and October, 1917 and culminates in the foretold “miracle of the sun” witnessed by 70,000 people. 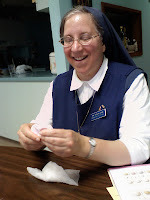 The children suffered much over the course of the months of “visits” from the Lady, who later revealed herself to be the Blessed Virgin, but they remained true to her, to their story, and to their promise to suffer and pray for the conversion of sinners. 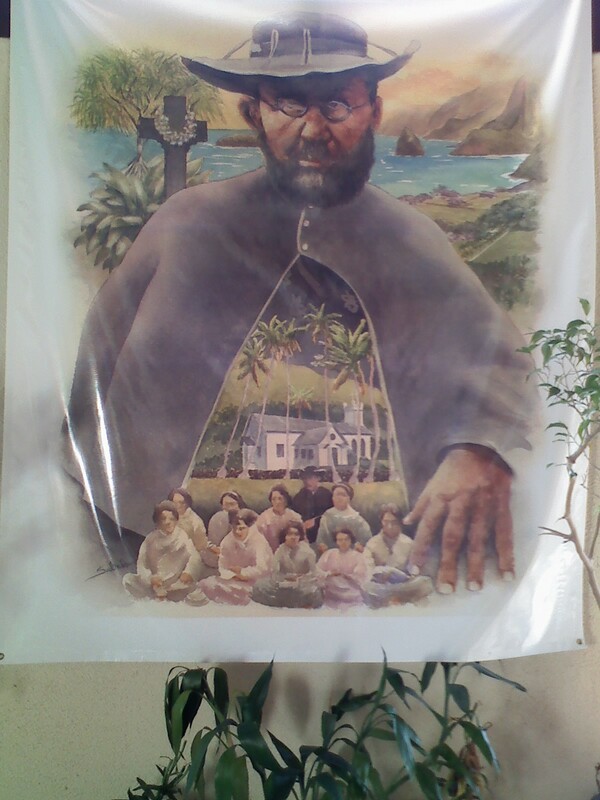 All three Seers have since died, the most recent being Lucia in 2005, and two of them have been beatified: Francisco and Jacinta Marto.